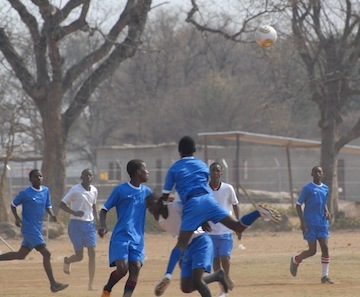 Grassroot Soccer Zimbabwe recently hosted a youth soccer tournament in the Tsholotsho district, at the Tsholotsho Stadium. 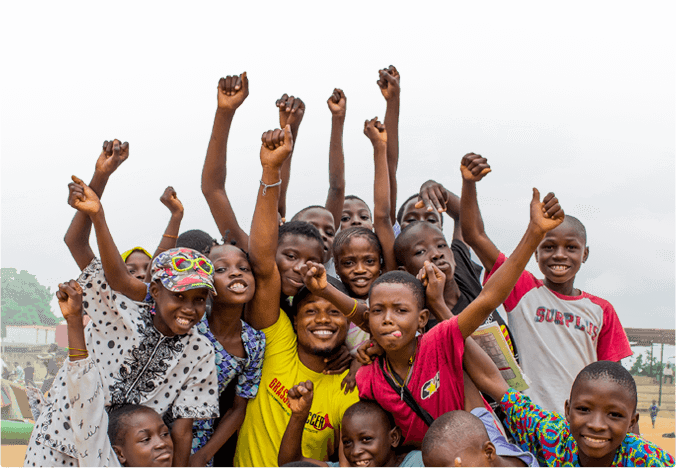 The tournament was a chance for young people to play soccer and learn about Grassroot Soccer’s HIV prevention activities. 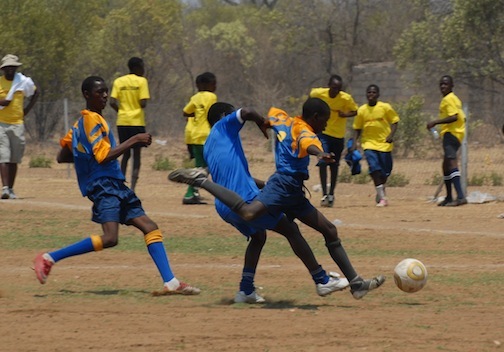 Five schools took part in the tournament: Tsholotsho High School (the eventual winners), Mavela Secondary, Zibungululu Secondary, Dinyane High School and John Landa Nkomo Secondary. 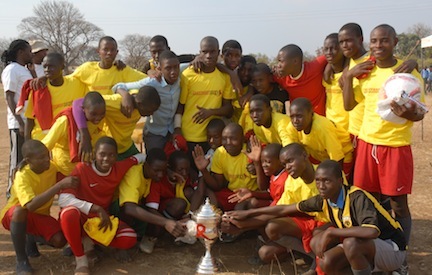 Professional team and GRS volunteers the Bantu Rovers were there to watch and support the students. 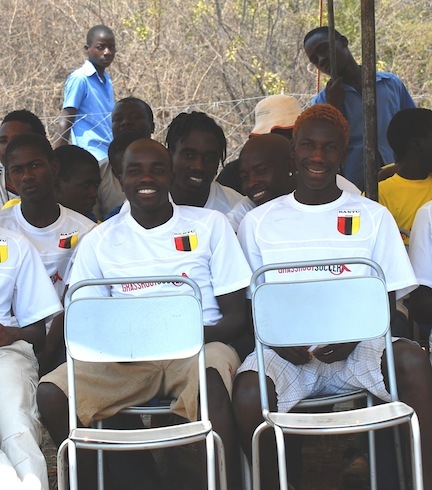 Local professional club the Tsholotsho Pirates also came out to cheer on the teams. 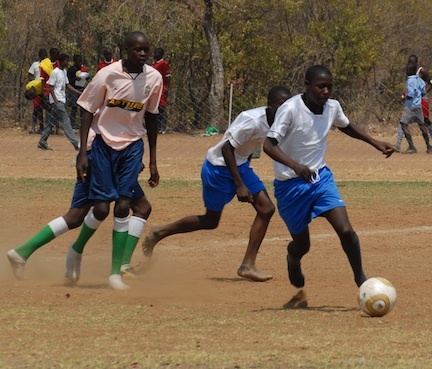 Enjoy pictures of the event below – and note that since some of the players do not have soccer cleats (or “boots”), they played in their stockings or even bare feet to avoid getting blisters.